Join this SAP Business One free, online course to learn about the integration framework for SAP Business One, an ideal ERP solution for small and medium businesses. Learn about the capabilities of the integration framework, a collaboration infrastructure for the small and medium-sized enterprise (SME) market, and get hands-on practice to build your own integration scenarios using different data sources. In a growing business, it’s increasingly important to have integration between different systems and to automate data transfer between the existing systems. To optimize daily work and to reduce data inconsistency, it’s important to integrate different data sources. So basically, it’s all about integration. Designed for small and midsize businesses, SAP Business One is a complete, innovative, extensible and flexible ERP solution. For managing data transfer, SAP provides the integration framework for SAP Business One as an integration platform. The integration framework for SAP Business One is a collaboration infrastructure for the small and medium-sized enterprise (SME) market. The multiple-purpose solution provides message-oriented middleware, a service bus, Business Process Management, and acts as a data provider for mobile solutions as well as a data consumer. The integration framework integrates business processes that can span different departments, organizations, and companies. This course will give you the chance to learn about the capabilities of the integration framework and to build your own integration scenarios using different data sources. To complete the exercises and reconstruct the integration scenarios shown in the course, you need an environment running SAP Business One and the integration framework for SAP Business One, release 9.2 PL07 and above. To get a test system for this course, sign up for a test system in the cloud . There will be a charge for using this test system. 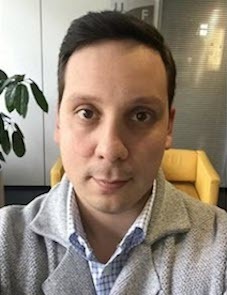 Darius Heydarian works in the Rollout team for SAP Business One, where he is responsible for the rollout of SAP Business One Cloud, infrastructure, and lifecycle management. Darius is also the rollout manager for SAP HANA technical topics, including the implementation and installation of SAP Business One, version for SAP HANA. In addition, he works extensively with SAP Cloud Appliance Library to create various ready-to-run SAP Business One solutions for deployment in the public cloud, such as Amazon Web Services, which is used for this openSAP course. 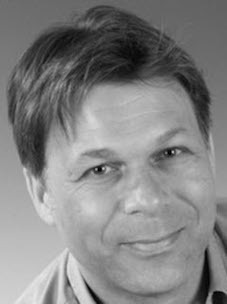 Nicolas Fuchs is a senior solution expert working in the area of small business integration. He promotes the Integration Framework and supports developers and consultants from partners and customers. 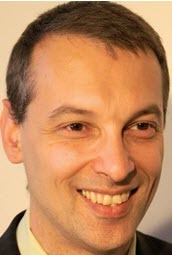 Nicolas’ focus areas include integrating SAP Business One into large enterprise landscapes, as well as into its own ecosystem, and using the Integration Framework as a generic tool for various integration tasks to help support and transform businesses into a connected whole, within the digital world and the Internet of Things (IoT). Vivien Marsh is a senior instructional designer and trainer for SAP Business One. One of her responsibilities is partner implementation training. She has designed, written and published numerous training courses, supplemental exercises and assessments. She has presented at the Americas’ SAP Users’ Group (ASUG) conferences. Prior to joining SAP, she was a partner in a small business providing training consulting services. Walter Werder is a Senior Product Expert for SAP Business One, supporting partner in implementation projects and running integration enablement across region. He conducts cross functional workshops and collaborates closely with Solution Management on best practices and product improvements. This course was held from Nov 07, 2017 through Dec 13, 2017. This course was rated with 4.26 stars in average from 376 votes. Annemarie Kiefer is a member of the integration framework development team and in her role as a User Assistance Development Architect, she provides all integration framework documentation. Additionally, she drives projects to improve the integration framework based on partner feedback. She collaborates closely with Solution Experts that are responsible for the integration topics rollout. Mario Fetzner is a Senior Local Product Expert for SAP Business One, supporting partner in SAP Business One product enablement and Pre-Sales activities in the D-A-CH region. He conducts SAP Business One, version for SAP HANA and SAP Business One Cloud workshops to ensure partners can sell and implement the solutions successfully. On top he collaborates closely with Solution Management on best practices and product improvements. Miriam Rieger is working in the Roll-out team for SAP Business One. She is responsible for the roll-out of different integration solutions, like the integration framework for SAP Business One, the intercompany integration solution, and other provided integration scenarios. In her role she is also the roll-out manager for HANA Analytics for the SAP Business One version. On top she collaborates closely with Solution Management on best practices.